Nexus 5 smartphone is hiding some very tempting little features which you can use after a little digging. One of them includes the notification settings. 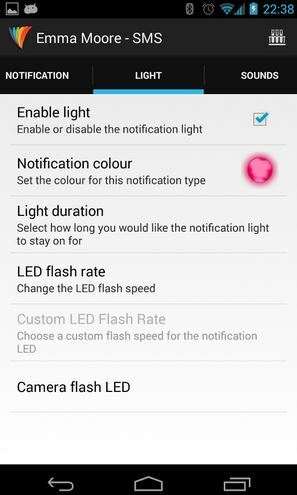 While many smartphones now come with notification features paired with LED notifications, in you can actually customize Nexus 5 LED notifications according to your own choices. No more red or white alerts only. LED notifications are best especially in silent mode. While usually we only get same LED color for all the alerts, you can customize colors for different types of notifications in your Nexus 5. 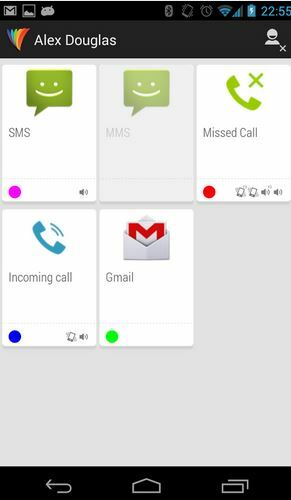 How about Magenta for Gmail, purple for reminders and Indigo for missed calls? In this guide, we will show you how you can completely customize Nexus 5 LED notifications without even rooting your Android smartphone. On your Nexus 5, open Google Play Store app. Search for Light Flow Lite – LED Control app and install it on your Android smartphone – direct link for Play Store app. Once installed, run the application on your Nexus 5 smartphone. Enable the notification feature on your device. You will now see the settings page on the app with various options. Click on Notifications where you can customize the LED notification colors. Go to any app that you want to tweak notifications for. Click on Light tab to change the color of notification light; tap on the Enable light checkbox to select it. Next, tap on Notification color to select any color you want for your notification. 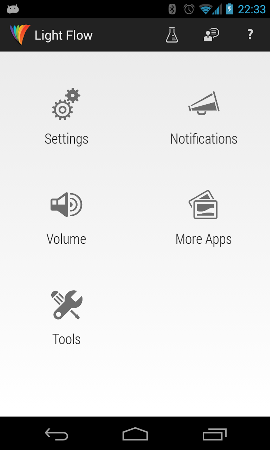 These settings above can be tweaked for various applications, as shown in the Notifications screen.